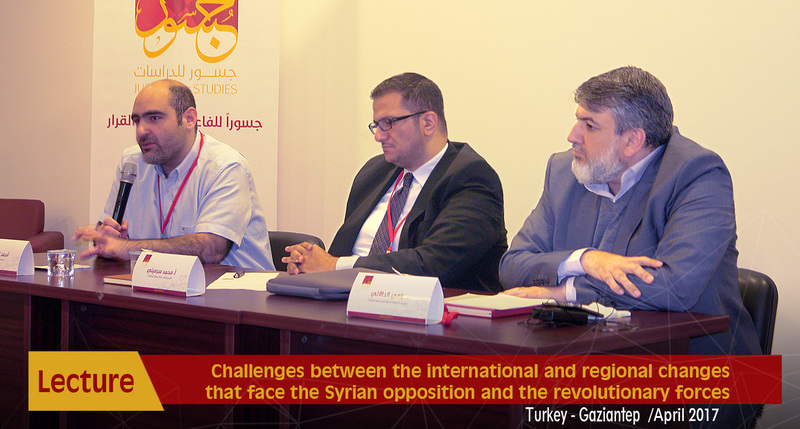 Jusoor for Studies center conducted a seminar under the name "Challenges between the international and regional changes that face the Syrian opposition and the revolutionary forces" in Gaziantep on 22nd April 2017. 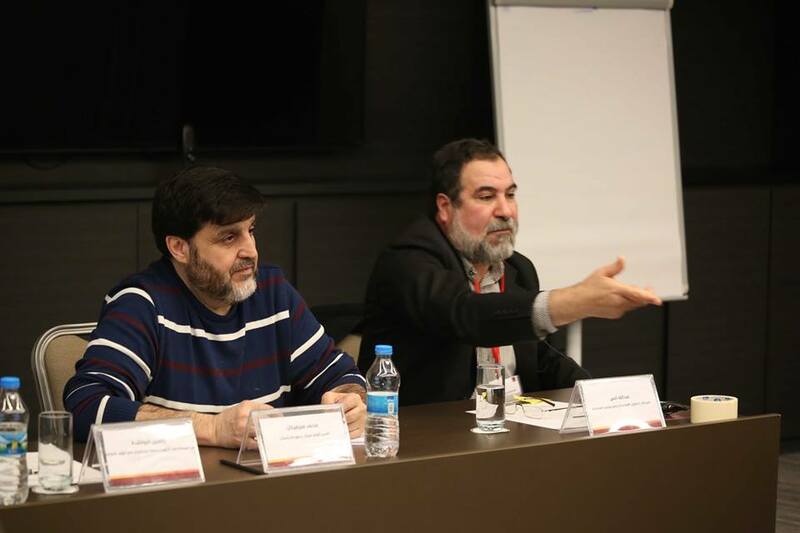 Rami Dalati, manager of the Religious Studies Unit in Jusoor for Studies center and Asa'd Al Ashi, the general manager of Baytna Syria Organization lectured in the seminar. Mr. Mohammed Sarmini started the seminar by welcoming the attendees and introducing the lecturers in addition to showing the seminar objectives and components then, he made a short overview about Jusoor center and its activities. Al Ashi started his lecture by addressing the most notable events that Syria has witnessed during the previous duration, causing a turning point in the course of events, most notable the considerable focus from local and international actors on the following: Aleppo city – Shooting down the Russian aircraft by Turkey – the usage of chemical weapon against Al Ghouta and Khan Shaykhun by the Syrian regime. 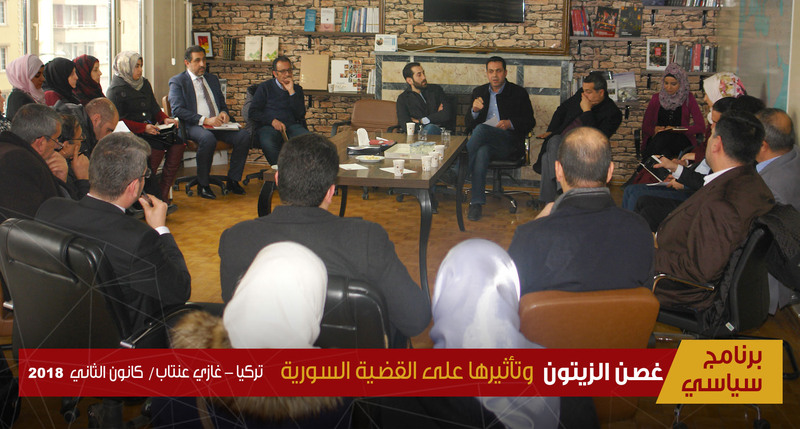 Al Ashi Talked about the American role as the main actor in the Syrian affair, which became a point of attraction between republicans and democrats. Furthermore, many differences between the international actors like Iran, Saudi Arabia, Qatar, and Turkey concerning the Syrian affair took place. 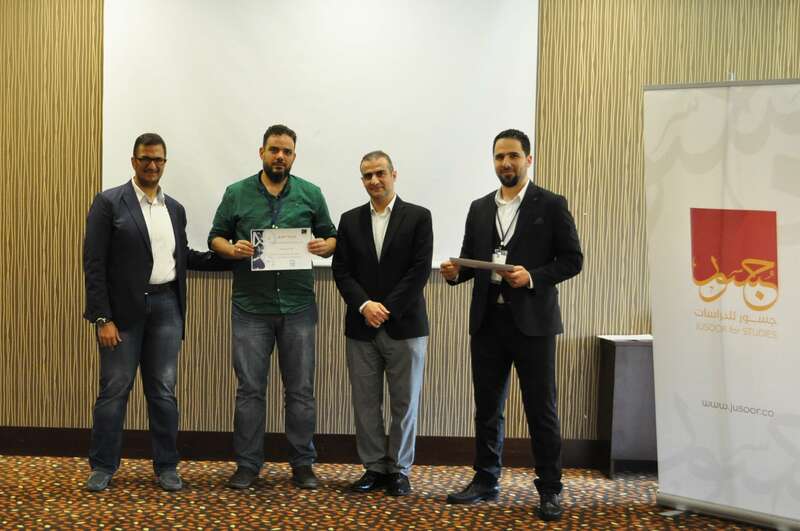 In the seminar's second component, Dr. Rami addressed the socio-political reality of the opposing mobilization environment, as he illustrated the challenges in this context represented by the lack of dialogue between Syrians. This dispute started among Syrians, the opposition's spectrums, and the factions' combatants in addition to the difficulty of reaching a dialogue mechanism with the Syrian regime and the lack of social stability in Syria. 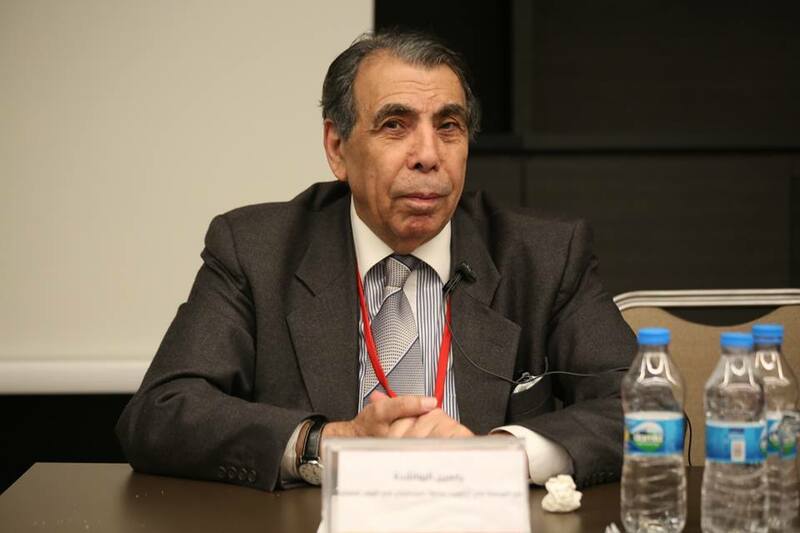 Dr. Rami added that, Jusoor for Studies center started to address (in-depth) the emergence of pairs that control the social reality like: Islamists – Seculars, Sunni – Alawite, Arab-Kurds……. etc. at which the center began to discuss the pair "Sunni-Alawite", studying the "Alawite Initiation Document" issued by the Alawite community in Syria in 2016 without any stamp or signature from any party. Dalati added that, Jusoor for Studies to continue addressing these pairs, at which extensive dialogues between Islamists and seculars are being prepared and to be started soon. 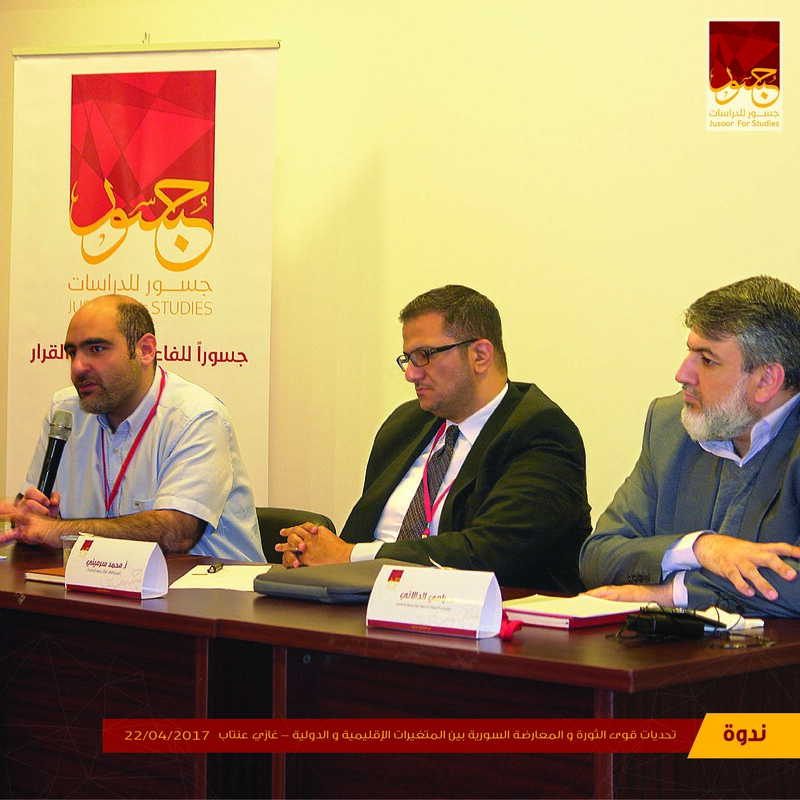 At the end of the statements, participants asked questions about the Syrian opposition effective role in general in addition to the most notable challenges that face the moderate armed factions or even the factions close to moderation in the near future from the terrorist organizations or the Syrian regime and its proxies.